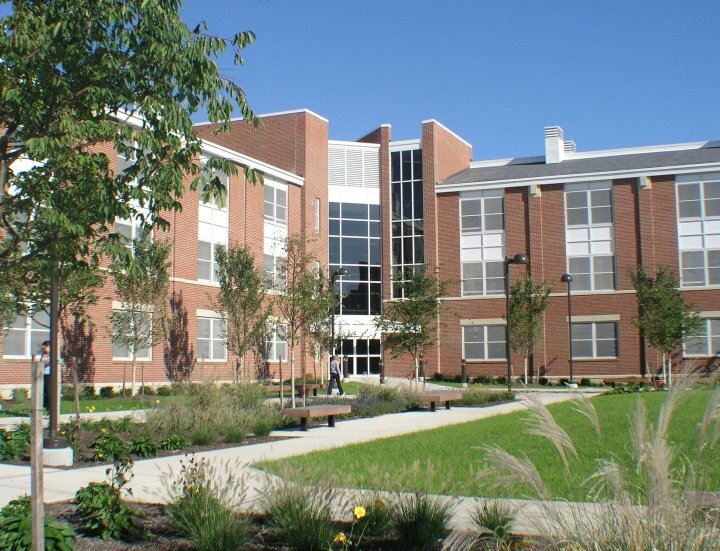 Adelphi University | Blades & Goven, LLC. 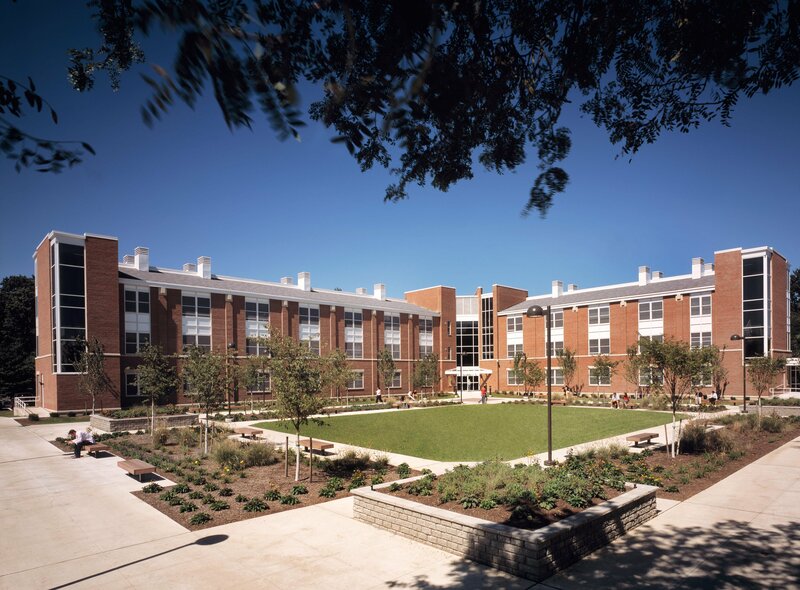 Blades & Goven provided landscape architectural design services for this new residence hall at the suburban campus of Adelphi University. 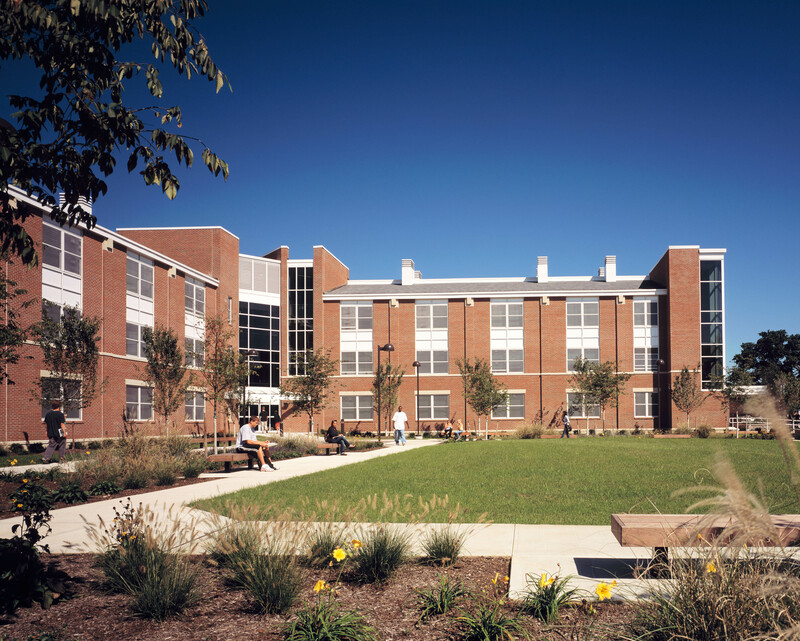 The building location anchors the corner of the campus’s residential quad. 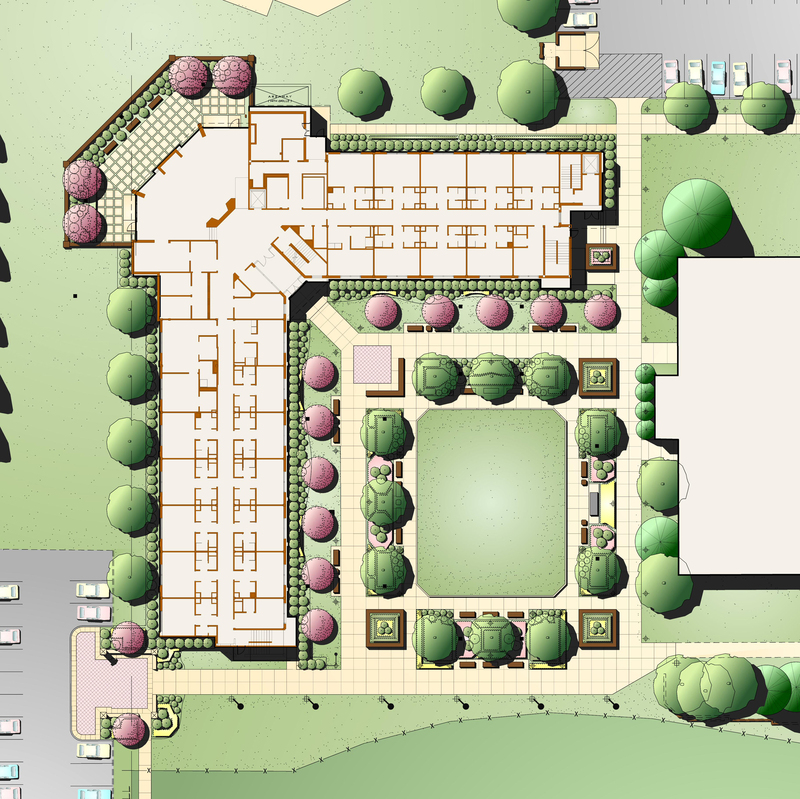 In addition to passive seating areas, the site plan features an open courtyard that is oriented toward the campus in order to shield adjacent neighbors from campus activities.